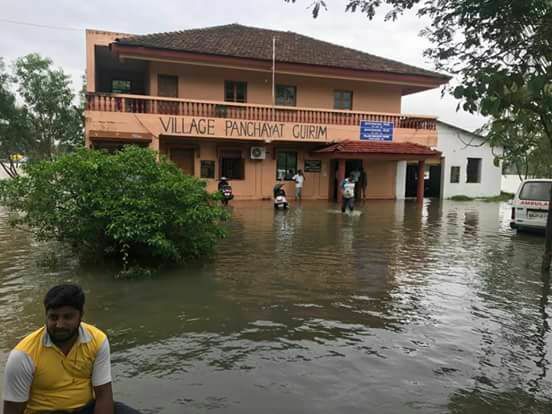 The coastal state has seen widespread flooding this past month, not just in the towns but also in semi-urban areas and villages. 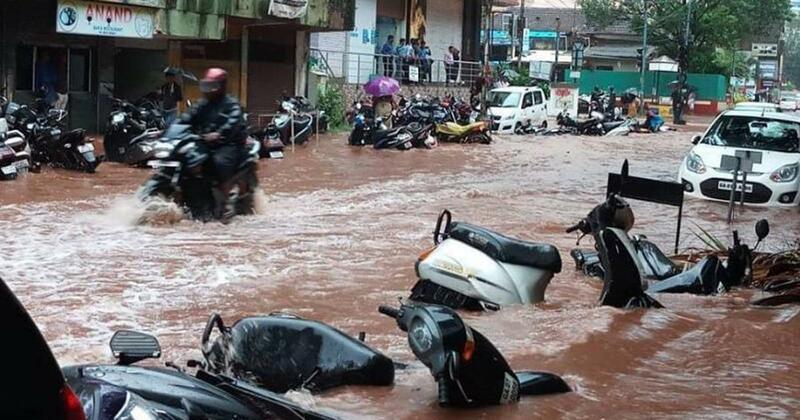 This monsoon, widespread flooding and waterlogging has dealt a blow to Goa’s image as a state with a high quality of life. With every major spell of flooding – on June 20, June 28 and July 6 – residents have inundated social media platforms with photographs of streets and homes under several feet of muddy water. Roads riddled with potholes and cracks, many of them built only in the last five years, have added to the chaos. Landslides along highways, where extension work is under way, have caused traffic gridlocks. The images are not just of the town areas – where some flooding is an annual monsoon feature – but also of semi-urban and new suburban areas where frenetic real estate development and highway and road projects have tarred over large swathes of wetlands and fields. Residents say the construction frenzy, both by the government and private sector, in the last half-decade is to blame for the state’s descent into urban flooding. 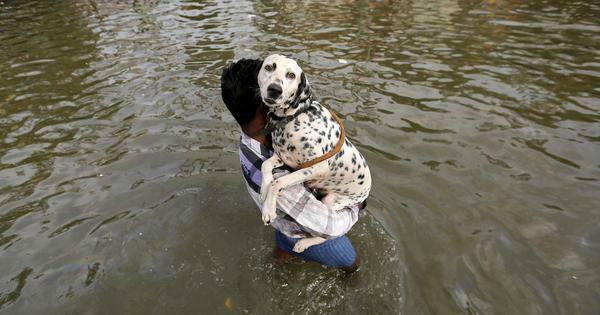 Many declare Goa has joined the ranks of other Indian cities plagued by urban flooding such as Mumbai and Chennai. “Full on development in Goa. So Goa is drowning like Mumbai,” Viresh Borkar posted on Facebook on July 6. Commentators say road reconstruction and widening, and big infrastructure is the principal focus of the Bharatiya Janata Party-led government in the state. In addition, the state is reported to have received Rs 25,000 crore in Central funds for highway and bridge projects. A comparatively small resident population of around 1.5 million gives Goa a civic managerial edge over most states in India. 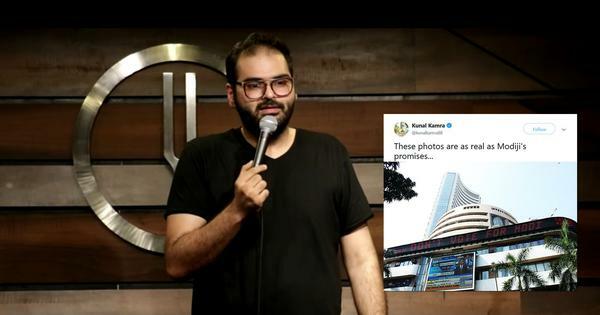 But this past month has driven home the high cost of runaway development and concretisation of a state once touted as an idyllic monsoon getaway for the rest of urban India. 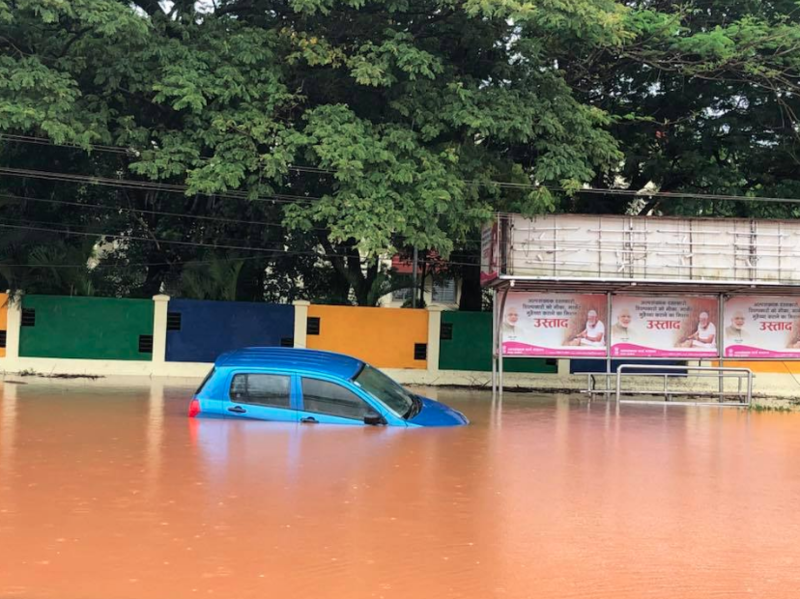 “To anyone born and brought up in Goa, the signs of frequent urban floods are clearly visible,” Kamat wrote in the article, adding that roads turn into “temporary rivers” every time it rains heavily. He blamed this “tragedy of urbanisation” on the “complete failure of urban planning”. He said road construction in the low-lying and densely populated Salcete taluka, for instance, has been done without understanding the hydrography of the Zuari and Sal rivers and how these rivers help in the discharge of surface runoff water during monsoon. Architect Sunil Sardessai told Scroll.in that Goa once had better roads than the rest of India, but the ones that have come up in recent years are a “road engineering disaster”. 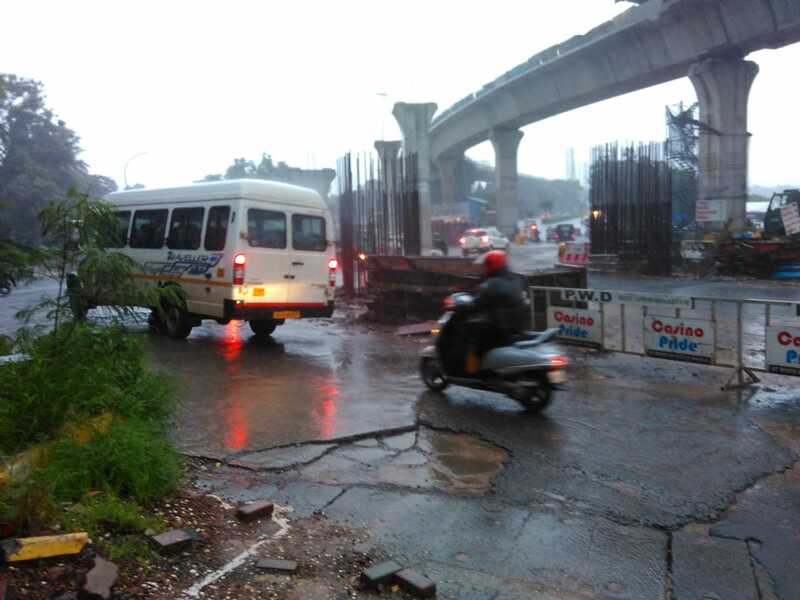 A case in point: the road along the upscale Panjim-Miramar seafront area, which the Goa State Infrastructure Development Corporation took two years to build at a cost of Rs 72 crore, flooded last week as a result of inadequate cross drainage, leading to a barrage of criticism on social media. Several such big-ticket road projects undertaken by state and Central agencies have gone under water, drawing flak. 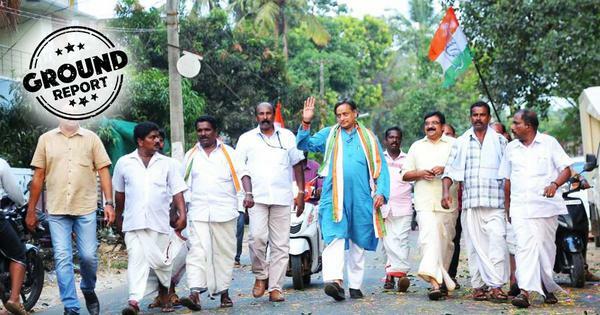 On July 6, the Opposition Congress demanded a vigilance enquiry into road construction in Panjim and for accountability to be fixed. Complaints about the condition of roads both from the public and the Opposition prompted Chief Minister Manohar Parrikar to call an emergency meeting of Public Works Department officials last week. But there is also trouble within the cabinet with Arts and Culture Minister Govind Gaude alleging corruption in road works and calling for Public Works Department Minister Sudin Dhavalikar’s resignation. 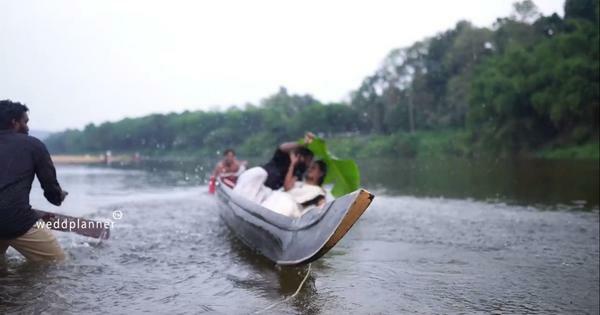 Architect Tallulah D’Silva, who runs the Mission Green Goa blog, said this was because high-rise office and residential complexes have come up over swamps, marshlands and fields, greatly reducing the city’s ability to drain off excess water. “Earlier, the water that drained into Panjim’s inner city St Inez creek was clean. Now, it is black from the sewage of buildings,” she said. Kamat pointed out, “It is a global norm in sustainable urban planning to leave existing, traditional urban wetlands, private or public, lakes, ponds, tanks or reservoirs or swampy areas untouched, un-reclaimed as these act as natural ecological buffers against flooding.” But in Panjim, he said, most open spaces and setback areas (which separate buildings from roads, rivers or the shore) have been covered in concrete or bitumen. Tallulah D’Silva said that as more apartment complexes with paved surfaces come up, exposed soil area that allows for water absorption and harvesting has come down. This has resulted in an increase in surface runoff and flooding. It is the same story in villages and semi-urban areas. Experts say fields and other green cover – natural catchment areas for rain water to enter the soil and replenish the groundwater table – are rapidly declining as real estate values go north and farmland is converted for industrial, institutional and settlement purposes. Based on research conducted by Solano Da Silva, lecturer and researcher at BITs Pilani’s Goa campus, for the 1986-2017 period, planning bodies diverted approximately 57,318 hectares of agricultural land and 10,548 hectares of forests for settlement, commercial and industrial uses. This included the diversion of some 11,300 hectares for mining. But experts say this real estate penetration has damaged storm water drains that channel monsoon runoff into creeks and estuaries, which in turn carry it to the Arabian Sea. 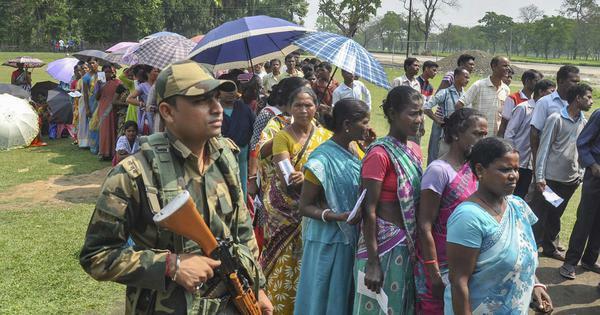 “Nullahs are being concreted over, or the edges are concreted and the nullahs are being reduced in width, and so unable to take large volumes of monsoon runoff, after a cloudburst,” said Tallulah D’Silva. In addition, large-scale tree felling to make way for infrastructure has increased soil erosion while the real estate industry’s focus on building holiday homes and apartments has led to municipal and panchayat bodies giving questionable clearance to condominiums on slopes and plateaus, she said. Goa is classified as 62% urbanised, but is also known for its seamlessly segued semi-rural and urban landscapes that give residents and visitors the best of both worlds. 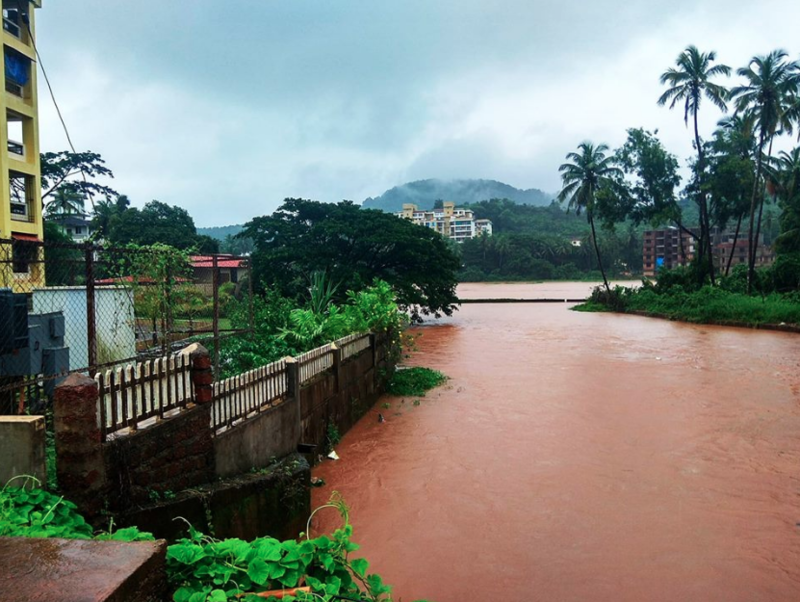 Goans now say the flooding this monsoon may be a sign that all this is changing.